How one CU changed its marketing focus to appeal to the people who make most financial decisions. Credit union marketers have typically divided their marketing efforts and budget to cover a wide variety of members and potential members across age segments. Throw a portion of the budget to youngsters, another chunk for young adults, a bit more for 30-somethings and spend the rest on baby boomers. This is what savvy marketers do; it’s called market segmentation and it is taught at the marketing 101 level. By dividing a broad target market into subsets of consumers, marketers can begin to see common needs and desires as well as common applications for relevant products and services. On the surface, this approach makes total sense. However, it also makes the other marketing 101 concept—branding—extremely hard to do effectively. How do you create a compelling brand that must work in tandem with a marketing strategy that must target multiple segments spanning ages 12 to 70? And, do this against the backdrop of every other bank and credit union attempting to do the same thing? The answer for most credit unions is to construct a conservative brand and generalized marketing strategy that won’t alienate any one group. By aiming somewhere in the middle, credit union marketers hope to project a unified voice. But, as the saying goes, if you try to appeal to everyone, you end up appealing to no one. What if there was a different way to build a credit union marketing strategy and brand position? This is exactly what one savvy credit union has done. $380 million/25,000-member Verity Credit Union in Seattle has zigged in a world of zagging financial institutions that try to appeal to everyone. Verity CU does everything to appeal to just one person: Mom. In Washington State, where every credit union has a community charter that extends to every corner of the state, it is increasingly important to stand out in this very competitive marketplace. In 2008, the executive team at Verity CU read the book, Blue Ocean Strategy. The book’s authors advise organizations to find the most attractive segment for what they’re selling, focus on that group, and ignore everyone else in an attempt to make the competition irrelevant. The answer was obvious: Mom. Also, from Blue Ocean Strategies: An ideal target market has strong affiliation, homogeny and influence. Moms have all three. Affiliation: Woman affiliate very strongly with being a mother. The role of mom is central to their identity—more so than their hobbies or other interests and, in many cases, even more central than their profession. Homogeny: When we think about the common bond of a CU charter, it’s pretty weak. Beyond being part of a loosely defined group, most CU members would have very little in common. In contrast, there’s a lot that moms of all backgrounds and beliefs have in common. Influence: Moms have a lot of influence in the home and among their peers. In fact, research shows mothers are the most influential in the decision of where their kids will bank. An added bonus is that moms are also fairly easy to reach online. After college students, the first groups to embrace blogging and Facebook were moms. A 2010 study, commissioned by the Walt Disney Group’s Disney Online and conducted by C&R Research, reports 31 million U.S. moms are online and 80 percent of those online moms use the Internet to do their consumer research. The researchers also concluded that 84 percent of moms visit social media sites like Facebook, vs. 74 percent of all adults. It’s fairly obvious that moms (and women in general) are more conversational than dads (and men in general). Just observe the chatter at a local coffee shop to prove the point! This ease of talking for moms also translates into social media participation. Moms aren’t afraid to comment on blogs, rate and review products, update Facebook and pin images on Pinterest. Moms of young families also span a large age range from mid to late 20s up to early and late 40s. Moms and their partners are members of Gen Y and Gen X who are hitting their prime earning years, and they are also in the time of life where they need most of the profitable financial products and services CUs offer. This is perhaps a little morbid to think about, but moms, and the dads they bring to financial institutions with them, will also be the beneficiaries of large estates as their baby boomer and senior parents pass on over the coming decades. I’ve made the case that building a mom-centered credit union can be a legitimate strategy for your credit union. Now what? Here are some tips and examples on how to put a strategy like this into action. Make moms feel comfortable and smart by having real, in-person conversations about their financial lives. Women are hungry for financial education and useful advice. In addition to individual guidance, consider hosting a series of seminars or webinars for women with topics like 1) debt reduction strategies 2) budgeting for families 3) growing a home-based business on the side and 4) saving for your kids’ education, to name a few. If you empower moms with practical knowledge, they will reward you with loyalty. Design your branches to be more kid friendly. Bucking the current trend in branch design, Storm pushed hard for no drive-up windows at Verity CU. This forces members and their children to come into the branch and allows for a more personal experience and connection. Engage with your community to help market your credit union. In 2009, Storm and her team launched the Verity Mom program. It started with a public search to find a Seattle mom to become the credit union’s spokesperson. Women interested in the position submitted a YouTube video and a blog post and the public voted on the three finalists. To date, two Verity Moms have been hired through this fun, very public process. It’s a part-time position for an energetic and talented mom—she blogs, creates videos and promotes the credit union on a dedicated microsite and on Facebook and Twitter. She communicates in her own voice to other women about what matters to moms. “We had been watching Currency’s Young & Free (YoungFreeHQ.com), and thought it was fantastic,” Storm says. 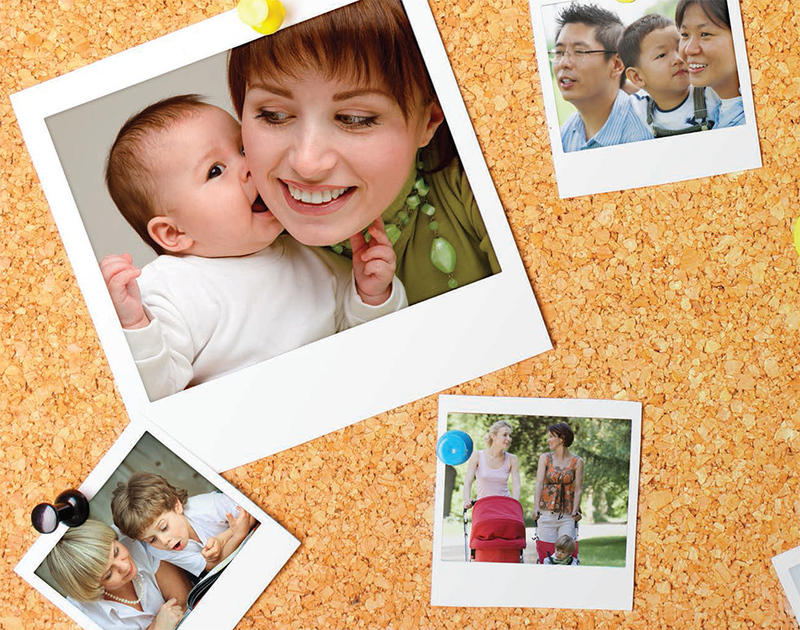 Currency worked with the CU to modify the Gen Y program for a mom-centered approach. “Our Verity Mom is essentially Young & Free for moms,” she adds. A key success of the Verity Mom program has been to keep it front and center with credit union branch staff and on the credit union’s main website. Verity Mom blog posts end up on the credit union’s home page, not just on the separate microsite. Be mom-friendly in your marketing language and product naming. For example, Verity CU renamed its checking account from “Velocity Checking” to “Cartwheel Checking” to work in tandem with the Verity Mom program. This new name has a softer feel without being so feminine that it would alienate male members. Moms have plenty of causes and charities they feel strongly about. There are great opportunities to do good and build membership at the same time. In conjunction with the Verity Mom program, the CU rolled out a philanthropic video contest called “Cartwheel for a Cause.” Members of the community were given an opportunity to win $1,000 for themselves, plus a $5,000 donation to their favorite cause. Contestants were required to turn their best cartwheel on video which helped to tie it all back to the underlying goal of continuing to open Cartwheel Checking accounts. CUES member Melina Young, director/marketing at Verity CU, says, “Our contests help the credit union let people know that we are here for moms. The contests have helped bring in new members because they are so different from traditional credit union promotions, such as a loan offer. Prior to running new promotions and advertising, the marketing team at Verity CU conducts focus groups with moms. When organizing such groups (especially for moms with kids not yet in school) make sure you are providing appropriate compensation and options for childcare and parking. If you are intrigued by the concept of building a mom-centered credit union, it will take discipline and strong leadership and it will not happen over night. It can’t be a three-month, one-time marketing experiment. To see real results, it has to be a fundamental strategy shift with a long-term plan. Ron Shevlin, senior analyst at Boston-based Aite Group, sums up Verity CU’s approach: “It’s grounded in strategy. It’s no big secret that women manage the finances in a majority of households in the U.S. Yet, how many financial institutions have really overhauled their efforts to not just market to women, but design products and customer-facing processes to appeal to women? Over time, through a consistent, persistent and authentic strategy, your credit union can achieve success by meeting the financial needs of moms. Oct 1 Missing the Gen Y Boat?